Will Self Driving Cars Reduce Accidents in Texas? You are here:Home>Car Accident Lawyer>Will Self Driving Cars Reduce Accidents in Texas? Too soon to tell. You can find solid arguments on both sides of the fence. Driverless vehicles couldsave thousands of lives per year-maybe-but it appears that we just don’t have definitive data to quantify the benefits. 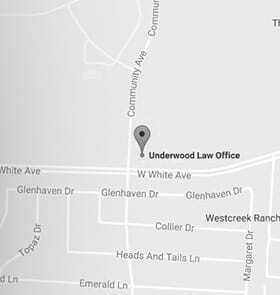 If you’ve been injured in a car wreck in McKinney, Texas, call an experienced car accident lawyer at 844.UNDERWOOD or 844 863 3796 to schedule your conversation with us.